Reduced Mobility Rights Limited is not a charity. We do not have access to public funding of any sort and wish to keep it this way. We travel across Europe and beyond to audit airport accessibility and services for passengers with special needs. Thanks to our constant monitoring we can spot and report accessibility issues and problems with procedures making air travel more accessible. Your support will make a real difference and help us keep fighting injustice. 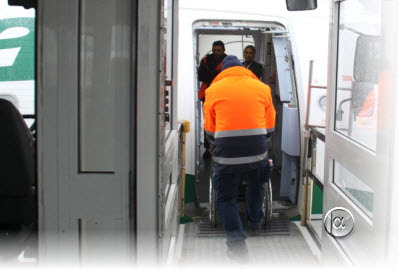 We work around the clock to give passengers with special needs free advice and guidance when their rights are breached. No matter how small, your donation will have a marked impact on our work, enabling us to continue giving a voice to the most vulnerable among us. Whatever amount you donate, we will make sure it will be put to good use. Thank you.